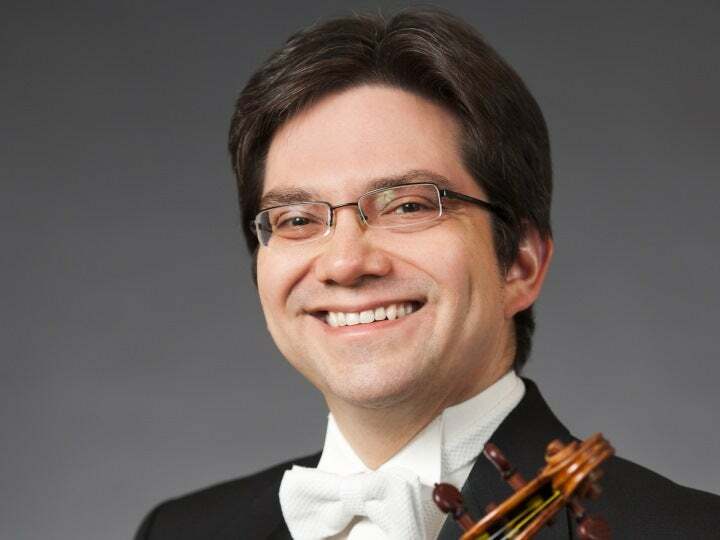 DARRYL THOMAS KUBIAN is a member of the New Jersey Symphony Orchestra’s first violin section and former principal second violin of the Brooklyn Philharmonic Orchestra. Kubian has been a featured soloist with the NJSO on the theremin, performing the “Cantelina” from Villa-Lobos’ Bachianas Brasileiras No. 5. He has performed jazz violin with trumpeter Randy Brecker in a Charlie Parker program entitled “Bird Lives!” and has arranged and performed Ellington’s “Sacred Songs” in collaboration with the Jazz Studies Program at Rutgers University. Kubian’s improvisational skills have been highlighted with artists such as Nigel Kennedy, Al Jarreau, Bobby Short and Renée Fleming. 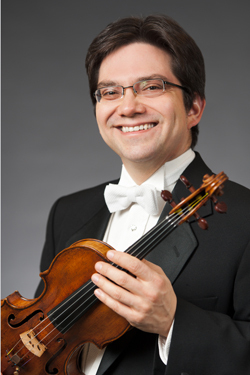 In addition to his solo and chamber ensemble performances using modern, electric and period instruments, Kubian has performed in Broadway musicals including The King and I, Show Boat, Crazy for You and Tommy. He has recorded with such noted artists as Trevor Pinnock, Malcolm Bilson, Meredith Monk, Bruno Weil, Zdenek Macal and Phillip Glass. Kubian’s “The Maestro Waltz,” a special 70th-birthday piece for Järvi, was the featured encore during a number of 2006 NJSO concerts; it was mentioned in Järvi’s biography, The Maestro’s Touch. The New Sussex Symphony commissioned Kubian’s overture Occam’s Razor, premiering the work in May 2009; the Omaha Symphony performed the piece in March 2012. Kubian’s music-production company, IndigoFox Media, is involved with many diverse projects, including the score for “Living with Predators” for the Wildlife Conservation Society at The Bronx Zoo. Other past projects include music for Pangolin Pictures, NHK, CBS, The Learning Channel, Discovery Health and The Travel Channel.